Why have lip enhancement at Therapy House? If your lips are naturally thin or you feel they have lost some of their previous volume or definition, then dermal fillers offer an effective treatment choice. They can noticeably improve the appearance of smoker’s lines, nasolabial folds, and marionette lines, as well as subtly adding volume to your lips and enhancing the definition of your Cupid’s bow and/or vermillion line. We can also use medical injectables to lift the corners of your mouth or to lower your lip line by millimetres if you have a particularly ‘gummy’ smile. With all the work they do, it’s unsurprising that your lips are one of the first areas to show a loss of volume and definition due to the skin’s natural ageing process. The upper lip, in particular, is prone to the signs of ageing. As full, defined lips are associated with both youth and beauty, you may be looking for a non-surgical treatment that can enhance your lips. To achieve a gorgeous, natural-looking lip enhancement, we can use dermal fillers and wrinkle reducing injections, either independently or as a combination treatment. The benefit of these products is that the effects are temporary and give us the flexibility to adapt future treatments if you decide you would like to enhance different areas of your lips. What issues can you treat with a lip enhancement treatment? The Cupid’s bow is the double curve of the lips that peaks beneath the philtral columns that run from your nose to lips. Many people associate a prominent Cupid’s bow with beauty and youth. We can use dermal fillers to add more definition to your Cupid’s bow. If you’re someone who’s upper gums are highly visible when you smile, >medical injectables can be used to slightly lower your lip line and give you a less ‘gummy’ smile. This treatment should be carried out by a practitioner with a sufficiently skilled approach. Using dermal fillers, we can add volume to your lips to help them look fuller. We can address the upper and/or lower lip, depending on your needs. 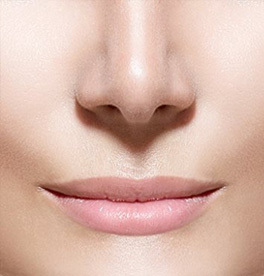 If you are someone who has quite asymmetrical lips, we can use dermal fillers to create better symmetry. One of the signs that your skin is ageing is when the corners of the mouth begin to pull down when your face is relaxed. This can make you look sad and unhappy, even if it doesn’t reflect how you feel inside. It is possible to use wrinkle reducing injections to prevent your facial muscles from pulling the corners of your mouth down, giving your mouth a more contented and up-turned shape. The vermillion border is the line that divides your lips from the adjacent skin. When our skin is in the full blush of youth, there is usually a very clear demarcation between the plump skin of the lips and the skin of your face. However, over time, the vermillion border can become less defined. With a skilled approach, it is possible to use small amounts of dermal fillers to redefine the vermillion border. For treatments including dermal fillers, we have adopted the use of MD CodesTM, which are a series of formulated injection points for dermal fillers proven to elevate, rejuvenate and enhance, as well as delivering natural results. Read more about MD CodesTM. During your initial consultation, we will spend some time talking to you, analysing your lips, and pinpointing how their appearance can best be enhanced. Lip enhancement treatments can be carried out using dermal fillers, specially formulated for the lip area – these give a soft and natural finish – and, in some cases, we may suggest the use of wrinkle reducing injections too. The needles we use for lip enhancement treatments are incredibly fine, which is important to give you a comfortable experience. The dermal fillers also include lidocaine as an in-built anaesthetic. Most people describe the injections as feeling like a tiny pin prick. With dermal fillers used for lip enhancement, you should see the results immediately, although you may have some minor swelling and bruising that will subside over two to three days following your treatment. With wrinkle reducing injections to lift the corners of your mouth, it can take five to ten days for the full effects of your treatment to be appreciated. We will give you an appointment for two weeks after your treatment so that we can check that you are happy with the results. A free top-up treatment will be administered, if required. Typically, the results of a lip enhancement treatment last for about six to nine months with dermal fillers, and about three to four months with wrinkle reducing injections. Occasionally, worldwide, allergic reactions have been reported and include redness, hardness at the injection site, and lumps and bumps under the skin. After wrinkle reducing injections, the most common side effects tend to be bruising around the injection site or a mild headache. These issues usually resolve within 24 hours. More serious side effects can include infection, swelling, facial asymmetry or problems sucking through a straw; these issues are rare if the treatment is carried out by an experienced medical professional. Will I have a ‘trout pout’? No. The term ‘trout pout’ has been coined by the media to describe overfilled lips. Our approach at Dawn Attewell Aesthetics is conservative and entirely focused on enhancing the natural shape and definition of your lips so that they look younger and fuller. Our team are advanced practitioners and Dawn Attewell herself is listed on the Save Face register because of her skills and expertise in providing facial aesthetics treatments. We don’t use any permanent filler products, and all the products we do use are backed by stringent scientific support. Although many people carry on with their day as usual after a lip enhancement treatment, you may need to take some downtime if you experience any bruising, redness or swelling. Want to know more about Lip Enhancement?